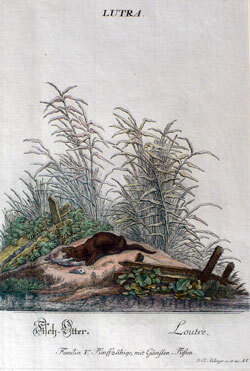 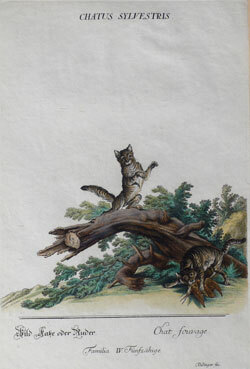 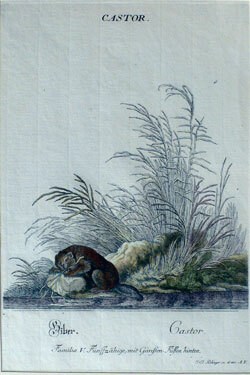 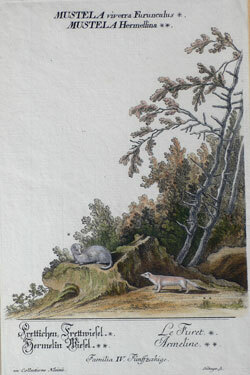 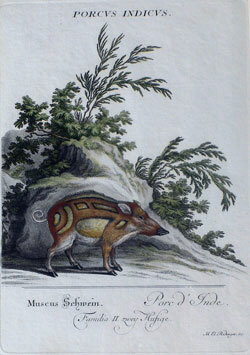 These original handcolored copperplate engravings are from the following work, published in Augsburg in 1768. 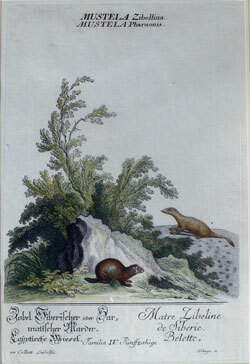 "Das in seiner Mannigfaltigkeit und in seinen schönen Farben geschilderte Tierreich" (The Animal Kingdom Depicted in All Its Colorful Diversity). 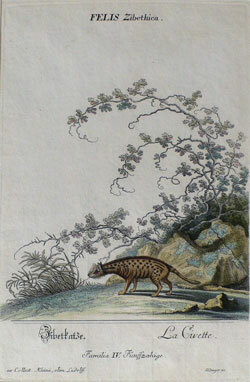 Sometime around 1723, Ridinger founded his own art publishing house in Augsburg and began selling prints that he himself designed and engraved. 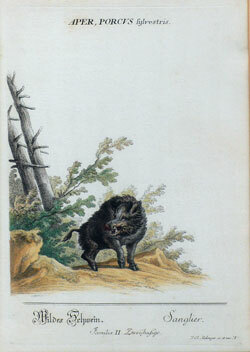 These included series on hunting, breeds of horses, riding manuals, wild animals and hunting dogs. 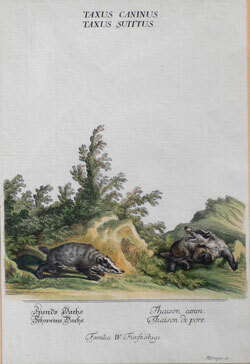 After Ridinger's death his sons Martin Elias Ridinger (173080) and Johann Jakob Ridinger (173684) continued to run the publishing house, issuing reprints of the most popular series of their father's work.